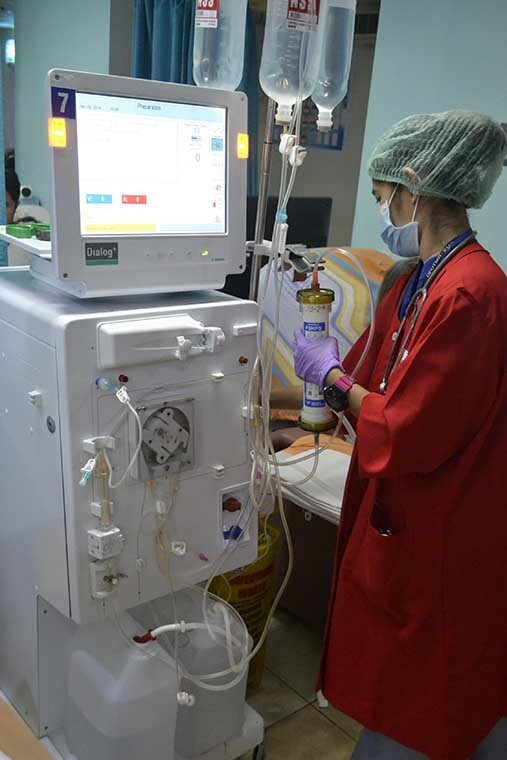 Our Hemodialysis Unit is located at 2nd floor of the Hospital. It operates from Mondays to Saturdays, from 6:00 am until 10:00 pm. 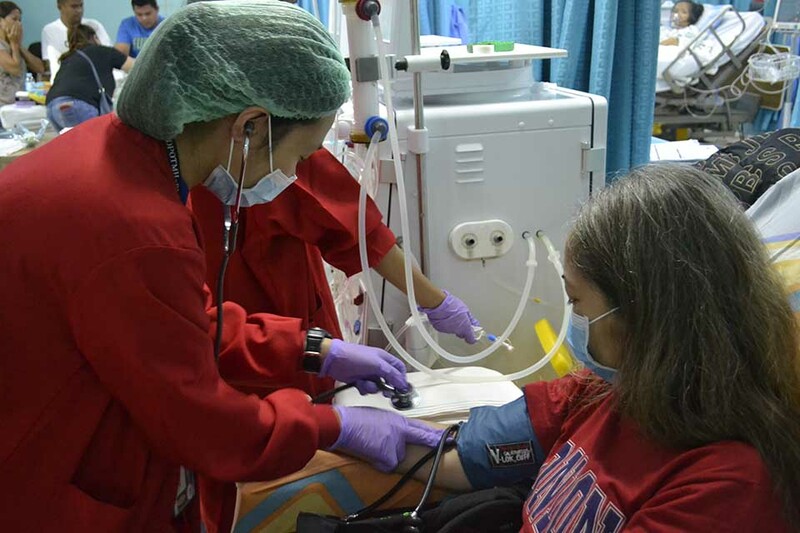 Our Hemodialysis Unit accommodates patients needing treatment at a reasonable cost. Usually, one procedure runs for about 6 hours thereby allowing us to serve an average of 3 batches per day. The first session is usually scheduled from 6:00 am to 12 nn; the 2nd session is from 11:00 pm until 5:30 pm; and the 3rd session at 4:30 pm until 10:00 pm. 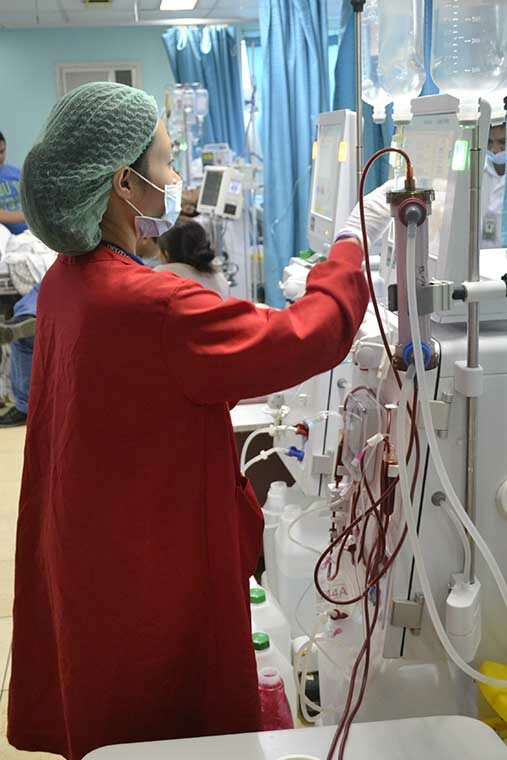 The Hemodialysis Unit is comfortably air-conditioned with 1 television assigned per patient. A specialized team of doctors, nurses and other medical personnel are available around-the-clock. With 13 Lazy Boys & 8 Beds for patients comfort.